Poems by Kaur, McCarthy and Maylor but First: Instagram Poets Seem to Rule – Will It Last? 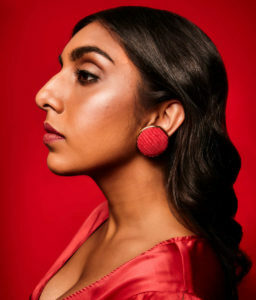 Indo-Canadian Poet Rupi Kaur. Photo Credit: Cut. To call twenty-five year old Indo-Canadian poet Rupi Kaur a sensation is an understatement! Her book of poems, milk and honey has sold at least 1.4 mm copies in about three years. Unheard of in poetry! And her second book, the sun and her flowers, just came out, published by Simon and Schuster. I profiled Kaur a year ago. To read that post, please click here. To read a recent feature interview with Kaur in the Cut please click here. I discovered, thanks to Kaur, a new type of poet, an Instagram poet. According to the U.K.-based Guardian (For the Oct. 2nd and Oct. 4th Guardian articles on Kaur please click here and here) she is the most popular. There are others, notably Nayyirah Waheed, author of the 2013 collection salt. The Guardian includes Kaur, Waheed and other authors, Warsan Shire, Yrsa Daley-Ward and Amanda Lovelace as examples of poets writing in a style that blends the spontaneity and rawness of a teenage girl’s Tumblr with the poise and profundity of lyric poetry. These authors write about shared themes: anger at how the world treats young women, especially women of colour; defiance in the face of dismissal; celebrations of modern femininity. Kaur’s extraordinary popularity, especially with her short poems accompanied with her own illustrations, tells me the desire for poetry has not vanished. But it’s not a desire that shows up in what I would call a more conventional poetry, not of the Instagram variey, whose poetry also carries great poise and profundity! I am thinking of two Canadian poets, also women, who published books this year. Micheline Maylor and Julia McCarthy. Their poetry, rich and complex, dealing with themes also of love, loss and impermanence, will most likely sell a mere fraction of what Kaur has sold to date let alone what her new book may sell. I include samples of their poems below. But I wonder, are we encountering a true sea change in poetry or a temporary change in wind and currents? only a long dream full of cold white smoke. Not one of us leaves unscathed. All stories tainted by degrees of disaster. a blessing, a station of the cross to bear. have much in common when counted on fingers. and sworn into suffering, sometime. Share this post on your social networks! This entry was written by Richard Osler, posted on October 8, 2017 at 5:16 pm, filed under Poetry and tagged Julia McCarthy, Micheline Maylor, Nayyirah Waheed, Rupi Kaur. Bookmark the permalink. Follow any comments here with the RSS feed for this post. Richard, thank you for bringing us Kaur. I’m unfamiliar with her work, though she has a big write up in the Globe and Mail this week.